For family vans and small commercial vehicles. The VancoContact 2 has been developed especially for vehicles with a high balance point and for transporting heavy loads. 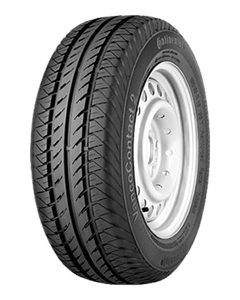 The new tyre concept with its homogeneous profile allows an excellent handling and driving comfort combined with a high mileage. Precise braking reaction and reduced stopping distance. Ride comfort, even at high speeds. Trusted by leading car manufacturers; Renault Kangoo, Mercedes-Benz Viano/Vito and Peugeot Partner come equipped with Vanco Contact 2 from the factory.